Meppen, in Germany, was the place to be yesterday for a sale of 550 lots of tractors and farm machinery in the first of a two-day Ritchie Bros. auction. Among the nearly 150 tractors were examples from all the popular brands including Case IH (15), Claas (21), Ford/New Holland (20), Deutz-Fahr (22), Fendt (20), John Deere (24) and MF (10). We’ll leave it up to you to decide whether there were any bargains, but a 2013 Case IH Quadtrac 600 (7,572 hours) sold for €102,000 and the hammer came down on a 1990 Magnum 7130 at €12,500. A 2008 Xerion 3800VC, the largest Claas tractor in the auction, fetched €43,000 (7,580 hours), and the buyer of an unused (September 2017 registered) Atos 330 paid €30,000. Deutz-Fahr prices ranged from €6,500 for a 1987 DX6.05 to €69,000 for a 120-hour (2017) Agrotron 6165. A 2006 Fendt 930 TMS Vario (13,863 hours) sold for €38,000, and the hammer came down on a 1992 308LSA at €16,500. The youngest John Deere, a 2017 7280R (7,675 hours), made €48,000 and the bidding on the oldest, a 6010SE from 1984, ended at €11,000. The highest price paid for a Massey Ferguson tractor was €42,500 for a 7,401-hour 7626 Dyna 6, which made €42,500. At the opposite end of the price range a 1988 3080 sold for €9,000. 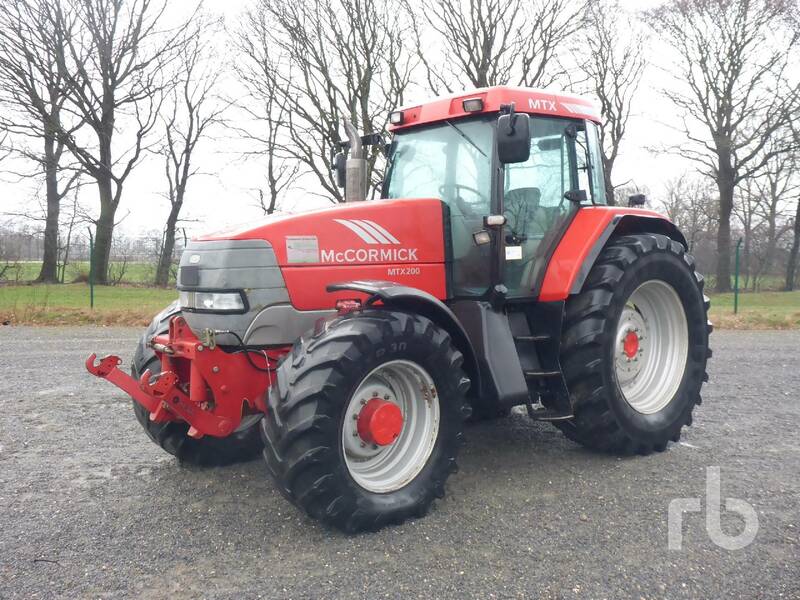 Bidding on the lone 2004 McCormick MTX200 ended at €19,000 and a 2010 Challenger MT665B (8,846 hours) sold for €16,000. Interest was strong for the wide selection of New Holland tractors. A 1994 G70 sold for €13,500, a 1996 8560 (12,031 hours) for €14,000 and a 2011 T8.390 (8,849 hours) made €42,000. Numerous combines, self-propelled forage harvesters and attachments, telehandlers, grassland and arable kit also went under the hammer yesterday. 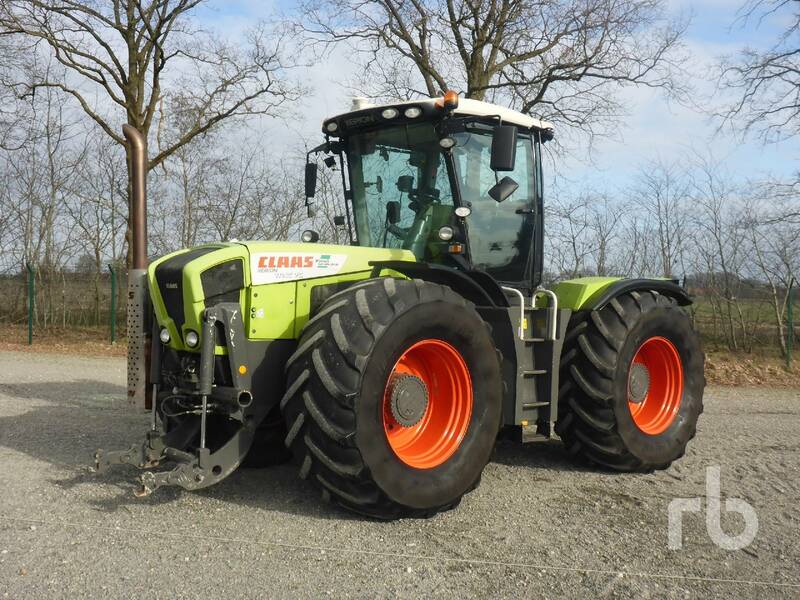 The most expensive self-propelled forager, a 2017 Claas Jaguar 970 (813 hours), made €215,000, and a 2011 Krone Big M400 (3,826 hours) sold for €37,000.